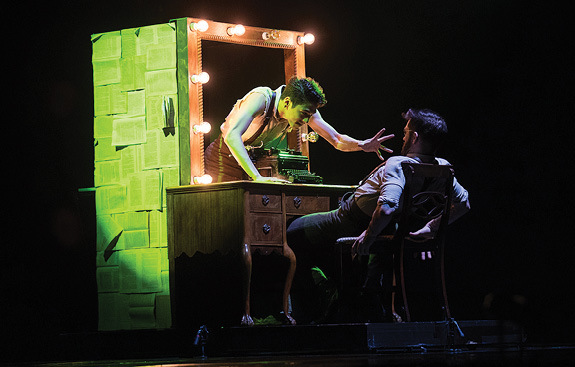 Lisa Condit spoke with dancer Nick Lazzarini, from “So You Think You Can Dance” and Travis Wall’s “Shaping Sound After The Curtain.” Read on for highlights, or listen to the full interview below. Lisa: I have seen “Shaping Sound” at The Hanover Theatre every time you’ve performed, and I’m excited about the new material. It’s been quite a journey for you. Nick: The new show is really different from the last show. It’s like dance theater. It’s not like coming to see us crush a couple of dance moves. It’s so much more than that. It’s so much fun diving into a character and acting. Lisa: This show has a pretty serious subject matter. Nick: Walking into it with an open mind and a clear head is actually one of the better things you can do. It’s a love story. It’s a tragic love story. There is glitz and there is glamor. You see the behind the scenes and the relationships and how we’re all connected in this burlesque company, but you also see what happens in the show, on the stage. It’s really cool how we’ve incorporated both sides of that. Lisa: The cast that you have coming is phenomenal as well. Nick: It’s our favorite cast right now. We have dancers from all over, from every background, not to mention that all these people are friends and this family that we’ve created in this dance company. Lisa: Anything you want to say to aspiring dancers? Nick: As a dancer, the more you understand how your body moves and how it works, the better off you’re going to be. That goes for any style. Ballet is the thing that teaches you how your body moves. The best hip-hop dancers I know are the ones that were trained in ballet and technical-based dance. Most of the winners from “So You Think You Can Dance” are contemporary dancers who have been trained in ballet and jazz and the technical-based techniques. Lisa: I describe you as the modern Alvin Ailey Dance Company. Nick: That would be amazing if we could get that big! That’s an amazing compliment! We look forward to seeing everyone at The Hanover Theatre. Come with an open mind. Come with an open heart. I hope you leave the theatre thinking about something, feeing something that you’ve never felt before. 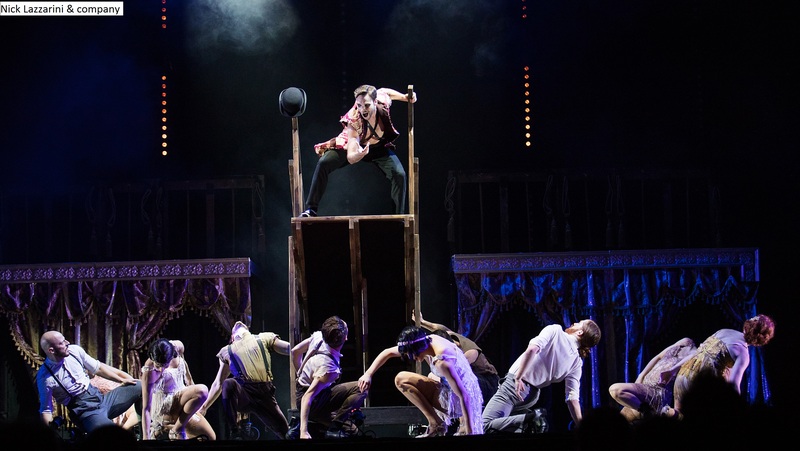 Who is your favorite dancer from “Shaping Sound” or “So You Think You Can Dance”?